Successfully Added Ulefone Armor 2S Android Phone - Android 7.0, Quad-Core CPU, 2GB RAM, 5-Inch FHD Display, Dual-IMEI, 4G (Red) to your Shopping Cart. 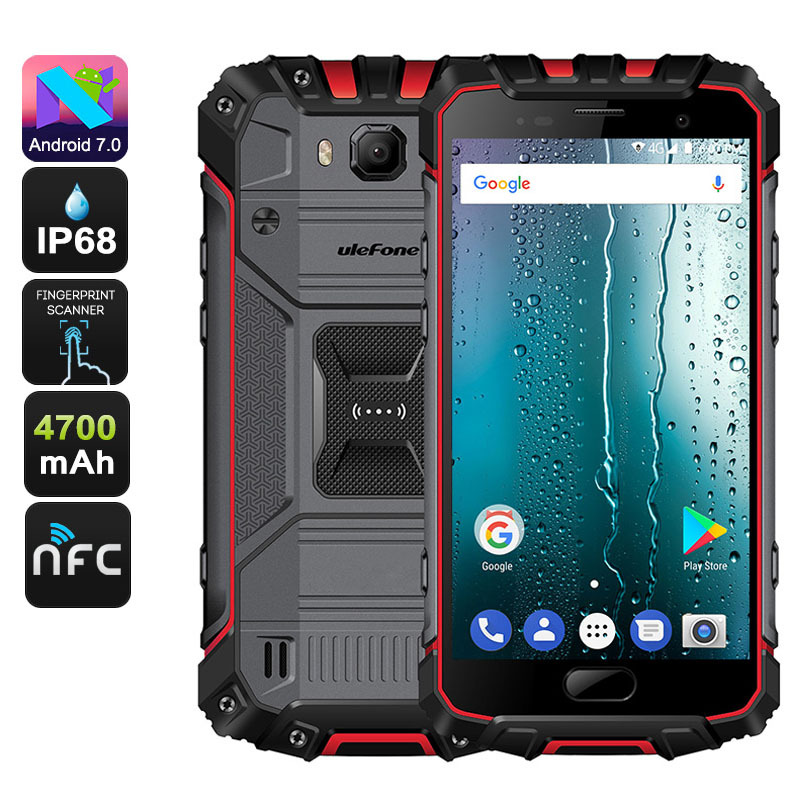 If you’re looking for an affordable Android phone that treats you to all the basic smartphone features, the Ulefone Armor 2S is perfect for you. This cheap Android phone runs on the latest Android 7.0 operating system thanks to which it lets you enjoy the most up to date software features. It comes packed with a quad-core processor that has been clocked at 1.5GHz as well as a respectable 2GB RAM. This hardware allows you to play games, watch movies, and use Apps without ever needing to worry about slowing down your phone. Whether you simply use your smartphone to make calls, browse the web, or to play games - the Ulefone Armor 2S is sure to meet your demands. Packed within the body of this Android phone you’ll find a powerful 4700mAh battery. This cell brings along enough juice to get you through 4 hours of continuous usage time. The phone treats you to a stunning 5-Inch display on which it lets you watch your favorite movies and series in crisp Full-HD resolution. With 16GB internal storage and a 32GB SD card slot, there is plenty of space to store media, files, and pictures that you have snapped with the phone’s 13mp rear camera. Thanks to its Dual-IMEI numbers and 4G support, this Android smartphone keeps you connected no matter where you’re at.